It’s been a while - like 22 years - but Tamiya has now taken a 1:24 scale kit of a sports racing car it issued in 1991, reissuing it as a different car from the same race. 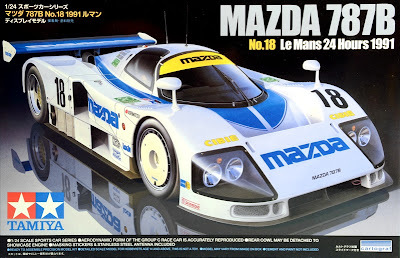 The event was the Le Mans 24-hour race in France, and the winning car was Mazda 787B number 55. This new kit, however, is the car that took sixth place - the company-sponsored number 18. 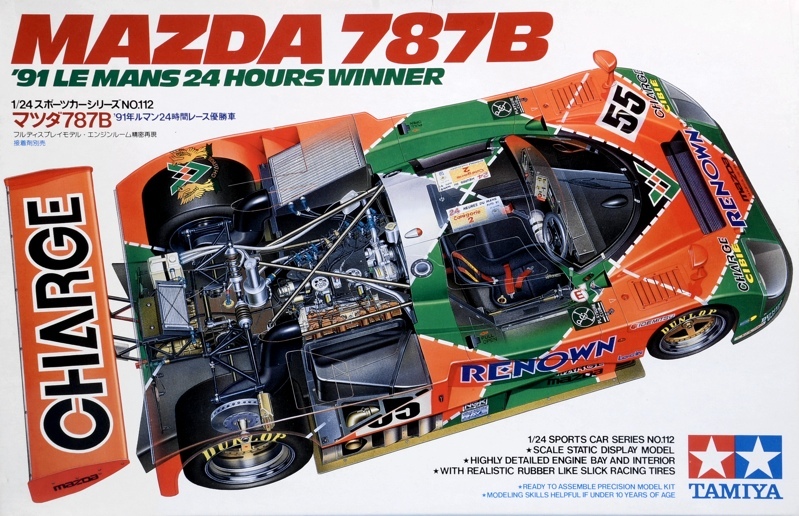 The 787B is an interesting vehicle, as it was powered by Mazda’s rotary engine, and was the first Le Mans success for a Japanese manufacturer. The 94-plus parts of this Tamiya Mazda 787B are moulded in white, black, and clear, with the usual set of soft vinyl tyres, and a selection of nylon bushes to attach the wheels. You also get a length of stainless-steel rod to represent the two roof antennas. When assembled, the model measures 180mm (7in) long. Fortunately, Tamiya has chosen to make this model a fully detailed kit, not a curbside (the usual term for a kit without any engine detail, so forever destined to sit ‘by the curb’), so you get a highly detailed 4-rotor rotary engine. However, to anyone used to a conventional reciprocating engine, whether in ‘straight’ or ‘V’ arrangement, the engine looks a rather strange object, as it is long, thin, and almost square in cross-section. Pleasingly, the rear bodywork (or 'cowl' in Tamiyaspeak) lifts off for display purposes. 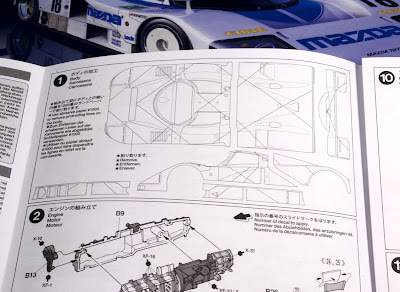 In a possibly unique kit instruction, you are told to remove the cross-hatched lines on the bodywork with 1000-grade superfine sanding paper. They are there because the first issue, the winning Renown car, had a complex paint scheme involving green and fluorescent orange, the faint lines being added to the kit’s bodywork to aid painting and decal application. However, the lines are very faint indeed, and frankly it’s unlikely they would be noticed if you omit this stage. 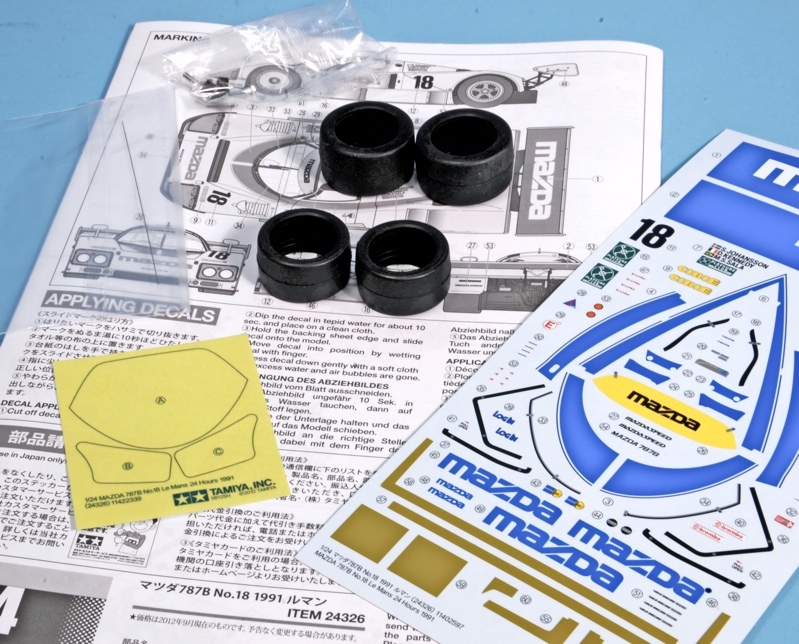 Otherwise, the kit is conventional in assembly. Incidentally, Mazda had three cars in the 1991 race. As well as numbers 18 and 55, there was number 56, a car initially entered in the previous year’s race, and this time it finished in eighth place. So far, Tamiya hasn’t produced this version, but you never know. 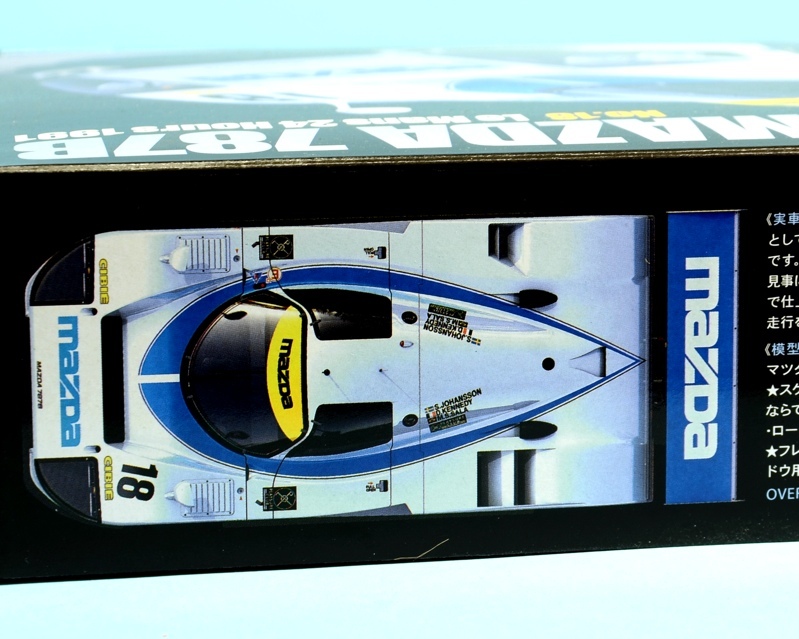 Mazda and other Tamiya kits available here. 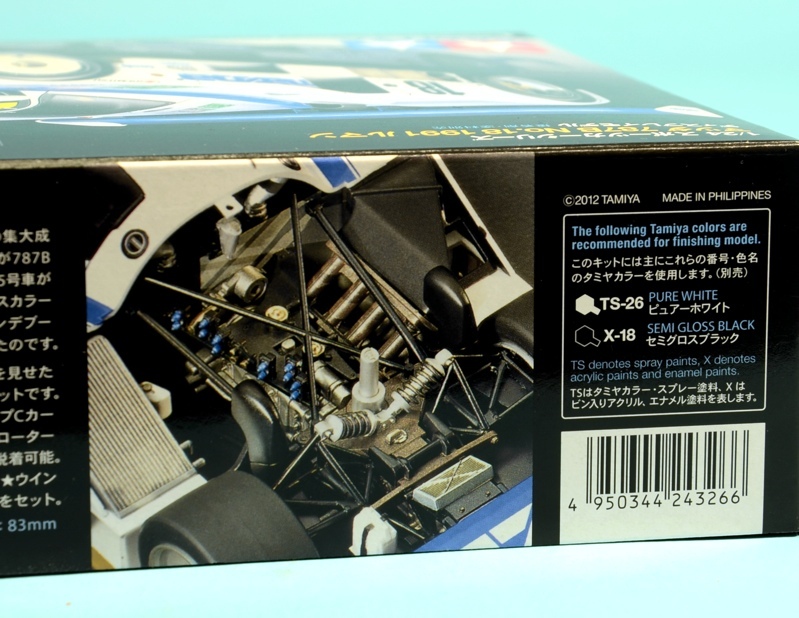 The usual Tamiya attention to detail extends to the box sides.